The good: Some of the ingredients are proven fat burners. results on VPX, there are no actual research results listed on the site. loss supplements that are proven to work. 40,000 Chocolate Bars that removes fat like a Blow Torch!” (VPX website). of this pill on the body? What makes VPX Meltdown Different? get from other fat burners. The makes of VPX Meltdown feel very strongly about the product they have created. studies, there are no numbers or actual research results listed on the site. are present in many other weight loss supplements. Who Are They Talking to Anyway? ingredients and more interested in fluffy names. numbers, stick to the weight loss supplements that are proven to work. I’ve been taking the pills for 4 days and have lost 4 pounds. They give me energy. They curb my appetite enough that I don’t crave fatty, high-calorie snacks. Thus far, I LOVE THEM!!! Nothing bad to be said about it. I’ve lost 19 pounds in 35 days using Meltdown VPX. Given, I did workout everyday for about 3-4 hours and had a strict nutrition plan (2500-3000cal). I did feel a decreased appetite, but I think you do have to be cynical and consider the “placebo” effect. Overall, I am satisfied with it, and just bought my 2nd bottle. love this product,it helped with my weight, moods, and enhanced my sexual mood. i take one a day. my husband takes 3 and he lost weight, and hes always energetic too and doesnt eat alot anymore, we dont crave junk food anymore. i am so happy with this product i would recommend it to anyone who really wants to feel better in every aspect. thank you vpx meltdown! If you want more, check out JISSN.COM. The Journal of the International Society of Sports Nutrition (JISSN) is a peer-reviewed journal that covers various aspects of sports nutrition, supplementation, exercise metabolism, and/or scientific policies related to sports nutrition. The journal is designed to keep members of the International Society of Sports Nutrition and the public up to date on the latest advances in sport nutrition. Where is your research on this? You bash VPX for not having ‘data’ but where is yours? Lost 5 pounds in one week. No extra workout. Didn’t have any food cravings at all. Gave me energy, not too much to make me shaky. I’ve taken oxy elite but this pill seems to last longer. Worth the 52 dollars I paid. I’ll keep you posted. As with any weightloss supplement, you can’t just sit around and expect it to work. I took 2-3 pills a day for an entire month while working out 4-5 times a week and eating healthy, i lost about 25 lbs. in just that month. I know I wouldv’e had results with or without the pills, but I don’t think they would have been anything like they were. Plus, taking Meltdown right before a workout is awesome, It gives you so much energy and can’t help but want to burn it off. 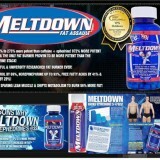 I highly recommend this product if you are seriously going to back it up with a good diet and exercise consistently. I bought this and i dont reccommend it. Im not sensitive to caffeen. The best way to descibe how it made me feel was panicy. it sounds crazy but when i was on it my mind felt like it was racing, i could feel the blood rushing to my face and my heart rate seemed fast. this is the first weight loss product ive tried and my last. i took it for a week even with working out and i dont think it does anything but burn a couple calories. I threw the rest of my supply away because the way it made me feel scared me. A heathy diet and going to the gym is safer, healthier, and produces better results in my opinion. save your money. 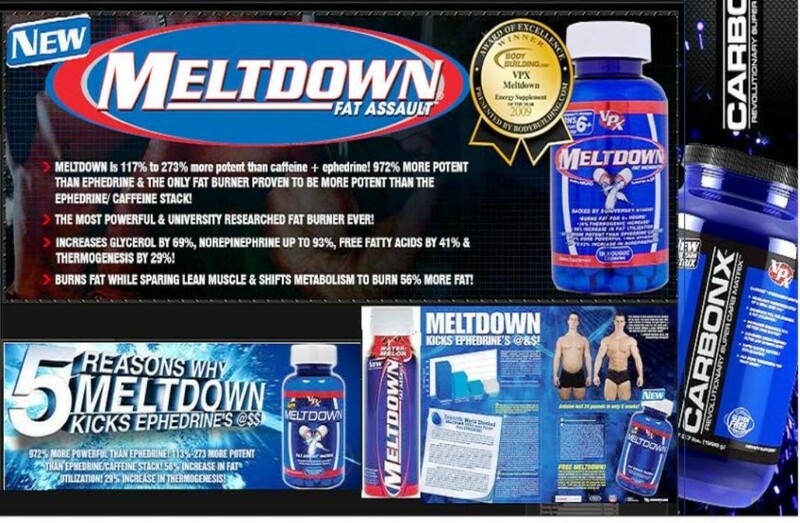 meltdown has not down me a bit of losing weight, i watch what i eat do not eat after 6:00pm, take the 3 capsules in the morning. I have yet lost any weight. I say not a good product. Do yopu recomend something better. would gnc sell it.? I think your missing the whole point of Meltdown & it’s users. How many soda pop are there on the market ? how many have you tried ? Which one is to your preference ? There you go, you won’t know which one is to your preference till you try then one at a time, To say Meltdown is right for XYZ is pretty lame since every person will have there own experience. I can not tell anyone that this product or any product is the one for then or that is one is better then the rest. Thats up to action / reaction. You must act & allow the body to react before making any logical decisions. If it works then don’t fix it. I though meltdown was it. But all it was, was a big let down. Dont try it. Big waste of money. I am experiencing loss of appetite and increased energy. I have lost a pound a day since i started my increased exercise regimen just 10 days ago i was 195 now i weigh 184 and i have really never felt this good since high school and my six pack is coming back!